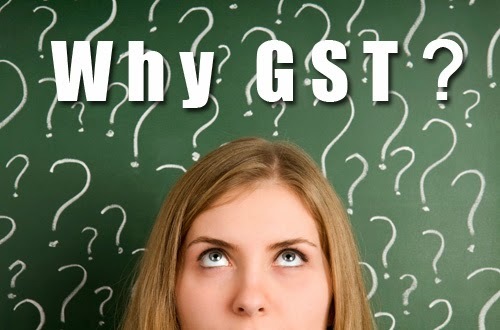 Why GST instead of other higher tax ? Under the current system, some business pay multiple taxes and higher levels of tax-on-tax (cascading tax). With GST, businesses can benefit from recovering input tax on raw materials and incurred expenses, thus reducing costs. Prices of Malaysia exports will become more competitive on the global stage as no GST is imposed on exported goods and services, while GST incurred on inputs can be recovered along the supplies chain. This will strengthen our export industry, helping the country progress even further. The current SST has many inherent weaknesses making administration difficult. GST system has in-built mechanism to make the tax administration self-policy and therefore will enhance compliance. Under the present SST, businesses must apply for approval to get tax-free materials and also for special exemption for capital goods. Under GST, this system is abolished as businesses can offset automatically the GST on inputs in their returns. With GST, taxes are leveled fairly among all the businesses involved, whether they are in the manufacturing, wholesaling, retailing or service sectors. GST eliminates double taxation under SST. Consumers will pay fairer prices for most goods and services compared to SST. Unlike the present sales tax, consumers would benefit under GST as they will know exactly whether the goods they consume are subject to tax and the amount they pay for.